The period from the 1950s to the 1970s was a golden age of British thriller writing. There was of course Ian Fleming but most of the British thriller writers of this era followed a rather different formula from that of the Bond novels, with heroes who were rather unglamorous and rather ordinary although usually tough professionals. The best-known and most successful of these writers was Alistair MacLean. Other notable writers of this school were Gavin Lyall and Desmond Bagley. 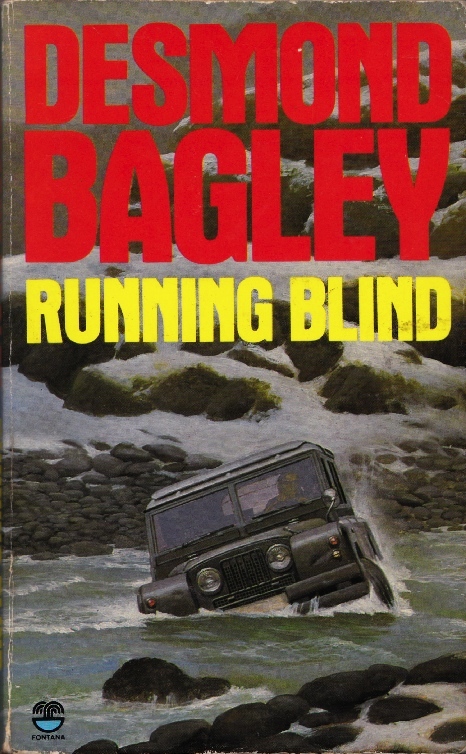 It is Bagley with whom we are concerned here, and more specifically his seventh novel, Running Blind, published in 1970. Running Blind opens with the hero Alan Stewart on a lonely road in Iceland with a rather embarrassing corpse. The corpse is embarrassing because Stewart was the one responsible for killing him. It started as a routine job. Stewart was acting as a courier. All he had to do was to deliver a parcel to a man in Iceland. A routine job for an agent of MI6, except that Stewart is no longer an MI6 agent. He has been persuaded to come out of retirement so to speak to do this one job. Persuaded is perhaps the wrong word. Coerced would be more accurate. And Stewart is not precisely retired - he left MI6 under something of a cloud after a difference of opinion with his superior, Slade. It is Slade who has forced him into doing the courier job. Stewart already hated Slade and now he hates him even more. Stewart is not happy at all. His instincts tell him that everything about this job is wrong. It doesn’t add up. It started to go awry right from the start. It seems like it’s not getting any better. He has three major concerns. He fears that his Icelandic girlfriend Elin might get caught up in whatever it is that is going on. He fears that Slade has set him up. And he fears that Kennikin may be in Iceland. Kennikin is a Soviet spy with whom he has crossed swords in the past and Kennikin has a number of very good reasons for wanting to kill Alan Stewart. Kennikin would of course kill him if he were ordered to do so, but he might well kill him even without such orders. Stewart has some vague suspicions as to what might be going on and these suspicions do not make him feel better. Not one little bit better. It soon becomes apparent that quite a number of people are after Alan Stewart and none of them wish him well. He has no idea what is in the package he was supposed to deliver or whether there is anything in it at all. The package is a classic example of what Alfred Hitchcock called a McGuffin - it doesn’t really matter what it is, all that matters is that everyone wants it and they’re prepared to kill to get it. Although Stewart starts to suspect that there’s much more to this than the package and meanwhile he’s being chased all over Iceland and he has to stay alive long enough to discover the answers to a whole series of questions. As I said in the beginning this is a novel very much in the Alistair MacLean mould although personally I don’t think Bagley can quite match MacLean’s skills in devious plotting and misdirection. He reveals just a little too much information too early on and the plot twists are not always quite clever enough. On the other hand there’s certainly plenty of action and the pacing can’t be faulted. Bagley makes extremely skillful use of the Icelandic setting - not just Iceland’s peculiar and even bizarre geographical features but also the oddities of Iceland’s culture and somewhat uneasy political situation during the Cold War. He can’t equal MacLean’s superb gift for atmosphere - MacLean would have made us feel the cold in our very bones - but he does a decent enough job of making us feel that we are a strange and potentially hostile landscape. Alan Stewart is an interesting hero, an obsessive man who does not realise just how obsessive he is and never seriously considers the possibility that he may be entirely wrong. He’s not an unsympathetic hero but he is at times disturbingly ruthless while at the same time he is always convinced that he is justified in his actions. Given that espionage is a very dangerous game his attitude is perhaps not entirely unreasonable. Bagley also takes some delight in exploding some of the myths propagated by action movies. In this novel there is no point in taking cover inside a house or behind a car when faced with a man armed with a high-powered rifle since the bullets from such a gun go straight through walls and car doors. On the whole this is a very competent spy thriller. I’d rate it as being not quite in the same class as Gavin Lyall’s The Most Dangerous Game or the best of Alistair Maclean but it still offers fine entertainment. Castle Skull, published in 1931, was the third of John Dickson Carr’s five Henri Bencolin mysteries. Carr connoisseurs generally regard the first four Bencolin novels as apprentice works. That’s true to some extent but they’re still a lot of fun. Henri Bencolin has been hired by wealthy Belgian industrialist Jérôme d’Aunay to solve a mystery in Germany. The famous but ageing English actor Myron Alison has been murdered and the murder took place in the forbidding Castle Skull on a rocky eminence overlooking the Rhine. 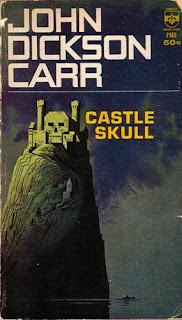 As its name suggests Castle Skull is a castle with a façade that looks uncannily like a human skull. The fifteenth century castle had been owned by the famed stage magician Maleger and thereby hangs another tale. Some years earlier Maleger had been killed by a fall from a railway carriage. It had to be suicide since there were trustworthy witnesses who swore no-one had entered his compartment. If Maleger was murdered it was an impossible crime, but no-one believes he would have taken his own life - and certainly not in such a commonplace manner. Myron Alison lived in a palatial residence on the opposite bank of the river. On the night of his murder a figure was seen emerging from Castle Skill - a figure enveloped in flames! The victim proved to be Alison although oddly enough he had already sustained fatal gunshot wounds before being set on fire. Bencolin and Jeff Marle (the narrator and Dr Watson of the story) are invited to stay in Alison’s house. Still present were the house guests who were there at the time of Alison’s murder and logically one of them must be the murderer. There’s temperamental violinist Levasseur, d’Aunay and his pretty (and very much younger) wife Isobel, the mostly somewhat drunken and neurotic young English baronet Sir Marshall Dunstan and Sally Reine (who is obviously in love with Dunstan). There’s also Myron Alison’s sister Agatha, known (for no good reason) as the Duchess. The Duchess had been a noted beauty in her youth; now her passions are confined to chess and poker (especially poker). This time Bencolin has a rival, in the person of a celebrated German detective, the Baron von Arnheim - an old school Prussian aristocrat complete with dueling scars. The Frenchman Bencolin and the German von Arnheim had been much deadlier rivals once, as agents of their respective intelligence service. Their rivalry is fierce although tempered by mutual respect. One of Carr’s great strengths was his genuine feel for the gothic and he gives it full rein in this story. Castle Skull is as forbidding (and spectacular) inside as it is from the outside, a place that has seen much bloodshed and many crimes over the centuries. The story itself is reeking with gothic atmosphere. Carr’s mastery of plotting is already in evidence. We may think we know where the story is heading but the author has plenty of surprises up his sleeve. The suspects are a rather colourful bunch, the competitiveness between Bencolin and von Arnheim adds spice, there are some fine if rather grisly set-pieces, the setting is superb and Carr makes the most of it, there are lots of wonderful gothic tropes as well as detective story tropes and the pacing (this is a very short novel) is pleasingly brisk. Personally I think the fourth of the Henri Bencolin mysteries, The Waxworks Murder, is even better but Castle Skull is nonetheless splendid entertainment. Highly recommended. George F. Worts was a prolific contributor of adventure stories to both slick magazines and pulps. He was born in Toledo, Ohio and died in Hawaii in 1962 (some sources say 1967 or 1968). He is best-known for the Peter the Brazen stories written under the pseudonym Loring Brent. Under his own name he wrote a series of stories chronicling the adventures of Singapore Sammy, including the novella The Python Pit which appeared in the May 6th, 13th and 20th issues of Argosy in 1933. Worts was a pulp writer who achieved every pulp writer’s ambition - to break into the slick magazines like Collier’s where real money could be made. He enjoyed great success during the 20s and 30s and half a dozen of his stories were made into movies. Singapore Sammy is Samuel Larkin Shay, a young American who was cheated out of his inheritance (a vast fortune) by his step-father Bill Shay. Now Sammy, along with his pal Lucky Jones, makes a living as a trader in the South Seas. They have a fast schooner named the Blue Goose. Trading might be his living but Singapore Sammy has one driving ambition - to find his step-father and force him to restore his fortune. Then he intends to kill him. Sammy has heard that Bill Shay is heading for the island of Konga, east of Celebes. No sane person goes to Konga. It is an accursed place, inhabited by ghosts, or cannibals. Or possibly ghostly cannibals. The waters around the island are infested with sharks of unusual savagery. On the other hand those waters are rumoured to be a fabulously rich source of pearls. Sammy and Lucky are therefore voyaging to Konga, much to Lucky’s dismay. They’re not the only ones heading for Konga. There’s also a beautiful young American girl. Her father lives on the island and she needs to get urgent medical supplies to him. Despite his misgivings Singapore Sammy agrees to take her along. And sure enough his misgivings are fulfilled. Lucky falls in love with the girl! This is the worst misfortune that could befall an adventurous sea rover. I’m not going to spoil the story by revealing anything of what they find on Konga except to say that there’s plenty of adventure involved. Singapore Sammy is pretty much a generic pulp hero - an impulsive, two-fisted man of action but brave and noble. The story could also be described as a rather generic example of the pulp adventure story. This is true enough, but these are features, not bugs. A lot of people fail to appreciate that a rigid adherence to genre conventions is actually a plus if you’re writing genre fiction. The knack of writing good genre fiction is to stick to the conventions whilst still coming up with exciting and imaginative tales, and to make sure that your story has the right ingredients in the right proportions - in the case of adventure stories that means fast pacing, lots of action, a little humour, a touch of romance, narrow escapes from certain death, suitably villainous villains and beautiful but dangerous women. The Python Pit has all those ingredients and Worts knows how to combine them expertly. The result is entirely satisfactory. Of course a pulp story written in 1933 is going to be rather politically incorrect, and The Python Pit certainly qualifies on that count. My advice is that if political incorrectness bothers you then you might be wise to keep away from 1930s pulp fiction. Part of the fun of pulp stories of this era is that when you read them you’re journeying back to a different world and you have to accept that world on its own terms. By his own lights Singapore Sammy is a brave and noble hero who hates injustice, it’s just that he sees injustice in 1930s terms. Worts style is pure pulp. Don’t expect glittering prose. He was however a skilled writer who knew how to spin a fine adventure tale. 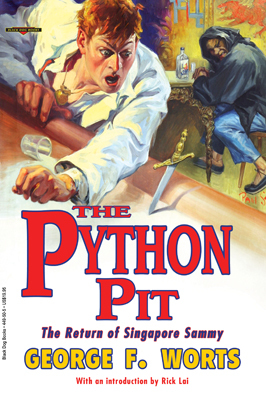 The Python Pit is one of four Singapore Sammy novellas included in a collection (called The Python Pit) published by Black Dog Books. It’s also included in the Otto Penzler-edited Big Book of Adventure Stories published by Vintage Books. The Python Pit is immensely entertaining stuff. Highly recommended. 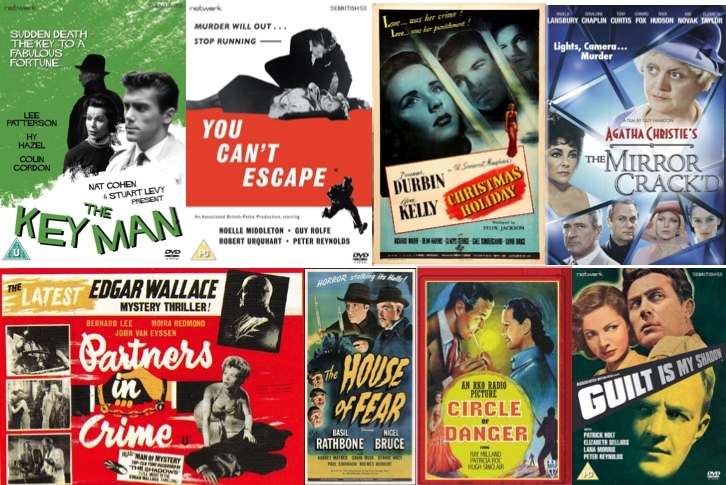 If you enjoy vintage crime fiction there's a pretty good chance you enjoy vintage crime movies as well and I've reviewed some pretty good examples of the genre recently on my movie blog Classic Movie Ramblings. The Key Man (1957) is a fine British crime B-picture with a definite hint of film noir. You Can’t Escape (1956) is another low-key British suspense thriller B-movie that is well worth a look. Christmas Holiday (1944) is a second-tier American film noir directed by the great Robert Siodmak. Worth seeing for Gene Kelly as a creepy and totally untrustworthy pretty boy anti-hero. It's also musical star Deanna Durbin's only film noir! The Mirror Crack'd (1980) is a fun adaptation of the Agatha Christie with Angela Lansbury making a rather good Miss Marple. Plus it has delightfully high camp performances by Elizabeth Taylor, Rock Hudson, Kim Novak and Tony Curtis. The House of Fear (1945) is one of the lesser Basil Rathbone Sherlock Holmes movies but it has its moments. Partners in Crime (1961) is a very low budget British Edgar Wallace potboiler. Not a great movie but quite enjoyable. Circle of Danger (1951) is a interesting Jacques Tourneur-directed British mystery thriller. Guilt Is My Shadow (1950) is an understated but effective little British crime thriller. 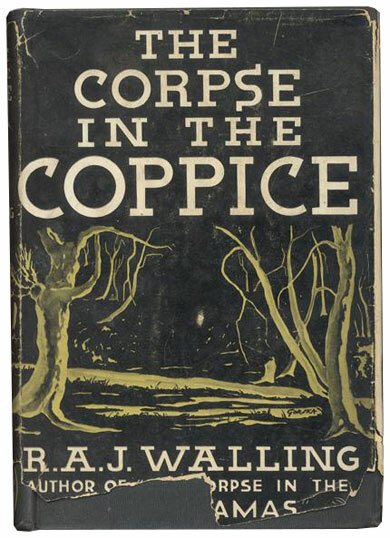 The Corpse in the Coppice was the ninth of R. A. J. Walling’s twenty-two Philip Tolefree mysteries. It was published in 1936 and the US title was Mr. Tolefree’s Reluctant Witnesses. Mr Tolefree is on holiday with his friend Inspector Pierce from Scotland Yard. Pierce is recovering from a serious illness and has been persuaded by Tolefree to return to Netherminster, the idyllic village in which he grew up. Netherminster proves to be just as delightful and tranquil as Pierce had remembered it from his childhood. The tranquility is however short-lived. Tolefree and Pierce, along with the Chief Constable of Netherminster, are dining at Ashcott House, the home of Martin Hawker. It’s a pleasant dinner until something very surprising and somewhat disturbing happens. Hawker tells Trelawney, the Chief Constable, that a murder is about to be committed. He does not know the identity of the murderer, or of the victim, but he is adamant that the murder will occur. Of course everyone assumes it’s some kind of joke, at least that’s the assumption until shortly afterwards when Trelawney receives a telephone call. A murder has indeed been committed! The victim is Robert Pitt, who lives (or lived) with his wife in a rather curious house known as The Coppice, set on the edge of a wood. He has been shot. The victim is clutching a revolver which has not been fired. It appears that Robert Pitt either suspected that someone was likely to make an attempt on his life, or he was making an attempt on someone else’s life and his would-be victim beat him to the punch. Trelawney, not unnaturally, asks Pierce to take charge of the investigation (and Pierce’s superiors at the Yard readily agree to the request). Trelawney’s title of Chief Constable is a little misleading - the entire Netherminster Constabulary consists of a sergeant and a dozen constables. And murder being entirely unknown in these parts it is a stroke of luck to have a Scotland Yard man already on the scene. Walling was an author who was content to operate entirely within the established conventions of golden age detective fiction. His Philip Tolefree novels are fair-play puzzle-plot mysteries, almost entirely plot-driven and without much in the way of in-depth characterisation. Personally I have no problems with any of this. I have no problems with those authors of the era who tried to be a bit more adventurous but I’m perfectly content with a well-crafted well-written thoroughly conventional puzzle-plot mystery. And Walling was perfectly capable of writing such mysteries. This is a book for golden age detection fans who get very excited by unbreakable alibis and by obsessive details about railway timetables and the length of time it would take Suspect Number 1 to get from Point A to Point B by car compared to the length of time it would take Suspect Number 2 to get from Point C to Point D on foot by talking a short-cut across Farmer Brown’s field. As it happens this is exactly the sort of thing that does excite me so I have no complaints. Of course it goes without saying that no-one ever did this kind of thing better than Freeman Wills Crofts but Walling does a pretty fair job. The Corpse in the Coppice also includes another much-loved detective story trope - a Secret From the Past that holds the key to the motive of the killer. This is not a spoiler by the way - it’s made very clear right from the start that there is such a secret. In fact there may be quite a few secrets since not only is absolutely nothing known about Mr Robert Pitt before his arrival in the district, absolutely nothing is known about his wife’s past either. They are truly mystery people. Walling was not a great stylist but his prose is pleasant and lucid, with an occasional flash of gentle humour. Within the strict confines of the genre conventions he is structurally quite sound. Walling lived his whole life in the West Country and all his books are set there. His deep affection for that part of England permeates his work and his feel for the atmosphere of a rural England that is now long gone is one of his strengths as a writer. Philip Tolefree is, as always, a rather amiable private detective. While he relies a great deal on painstaking calculations of the timing of events before and after the crime he is also inclined to give considerable weight to his own psychological intuitions - he rules out certain suspects on the grounds that they are simply incapable of murder. 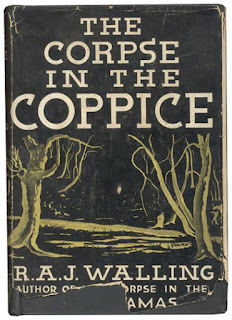 Walling might not have been a front-rank writer of golden age detective fiction but he was a solid and reliable writer of the second rank and The Corpse in the Coppice is a thoroughly enjoyable diversion. Recommended. I'd also recommend Walling's other Mr Tolefree novels such as The Corpse in the Crimson Slippers, The Corpse with the Grimy Glove, The Corpse in the Green Pyjamas and The Five Suspects. While Simon Templar (the Saint) mighty be the most famous fictional example of the criminal turned crime-fighter he had several illustrious predecessors. One of the more notable was Michael Lanyard, known as the Lone Wolf. This character featured in eight books by Louis Joseph Vance published between 1914 and 1934. 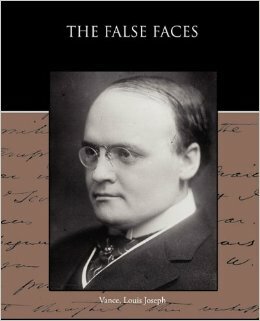 The False Faces was the second book in the cycle, appearing in 1918. Louis Joseph Vance (1879-1933) was a popular American writer until his tragic accidental death. The hero of this series is Michael Lanyard, English-born but raised in sordid and disreputable circumstances in Paris. As a young man he turned to crime, with great success. As the Lone Wolf he became the most glamorous and most famed jewel thief in Paris. His early life is covered in some detail in the first novel in the series, The Lone Wolf. He runs foul of a shadowy underworld organisation and finds himself hunted both by his fellow criminals and by the police. He eventually abandons the life of crime but as we will see in The False Faces it is not so easy for a man to escape his past. Given that it was written during the First World War it is not altogether surprising that The False Faces is a spy thriller rather than a crime thriller. Lanyard is now working, on a semi-official basis, for the British intelligence services (his criminal career being overlooked in view of the potential usefulness of the skills acquired in the course of that career). He has been gathering intelligence behind the German lines but now he has a new task, a task that requires him to take passage on the steamer Assyrian en route for New York. It is 1917 and the United States is still neutral but a declaration of war seems likely at any time. It soon becomes apparent that German agents are also aboard the Assyrian. Lanyard is given a document by a young Englishwoman named Cecilia Brooke. This occurs in slightly puzzling circumstances. A man has been murdered, another is critically injured. Lanyard is inclined to trust Miss Brooke but he cannot be entirely sure of her. On the other hand he has sworn to hold on to the document for her, and one cannot betray a promise to a lady. The body count on board the Assyrian starts to rise alarmingly. There may well be a whole battalion of German spies aboard. Worse is to follow - an encounter with a U-boat. The pace of the story starts to accelerate as Lanyard undergoes a bizarre series of adventures. He is increasingly convinced that he is being dogged by a figure from his past and this sinister figure may now be a top German secret agent. The action (and there is no shortage of it) takes place on the high seas, under the sea, in a remote cove on the American coast and in the night clubs of New York. Lanyard is facing a deadly enemy who will stop at nothing but our hero is equally implacable since he has a personal score to settle. Vance was a writer who clearly believed the wartime propaganda that not only the whole of England but the whole of the United States as well was infested by thousands of German spies. The level of hysteria is extraordinary, even by the standards of wartime spy thrillers. There are traitors everywhere. No-one can be trusted! In New York alone there seem to be hundreds of German spies. Every German character is the book is totally and irredeemably beastly. They are all brutal vicious murderers. German soldiers bayonet babies. Literally. The extent of the fear and hatred of Germans expressed in this novel is astounding. You expect jingoism in a wartime spy thriller but Vance goes breathtakingly over-the-top. The Kaiser doesn’t actually appear in the book but he does get a few mentions. He was apparently the most blood-soaked butcher in history. Not only are all the Germans in the novel evil. They are also, without exception, stupid and insane. Really insane, as in barking mad insane. This is a bit odd because on the one hand we’re expected to believe that the Germans have a vast and ruthlessly efficient system of espionage and sabotage that is a mortal threat to the survival of every country on the planet, but on other other hand we’re also expected to believe that all Germans are so crazy and so stupid that they could not possibly be a threat to anyone. There’s also a romance sub-plot, as Lanyard falls for the charms of the courageous and beautiful Miss Brooke. Jingoism aside this is a rousing tale of adventure, packed with action and excitement, and told with energy and panache. At times the reader’s credibility may be stretched a little - at least one of the Lone Wolf’s narrow escapes from certain death pushed the bounds of luck and coincidence very far indeed. That really doesn’t matter; if anything it adds to the book’s appeal. While the Lone Wolf is the kind of hero who became very popular in the interwar years the style of the book is more reminiscent of the pre-First World War era. The combination of a slightly Edwardian sensibility with the dash and frenetic nervous energy of the thrillers of the 20s and 30s actually works quite well. Michael Lanyard is an indefatigable and brave, and very resourceful, hero. His old-fashioned manners are rather charming, and rather amusing given that he is a thief by profession. The early Lone Wolf books are representative of a fascinating and important stage in the development of the classic thriller novel. They don’t compare with the works of a master like John Buchan but they’re still very worthwhile. The False Faces provides plenty of entertainment. Recommended.